Sven (Heiko Pinkowski) lives with his mother Edeltraut (Ruth Bickelhaupt) in a small apartment. Edeltraut suffers from dementia, so Sven hired Daniel (Peter Trabner) to take care of her while he is at work. But one day, Edeltraut locks Daniel on the balcony and then heads out of the apartment on her own. The ensuing search brings Sven and Daniel closer together, much to Sven’s happiness, as he had a crush on Daniel for a while. 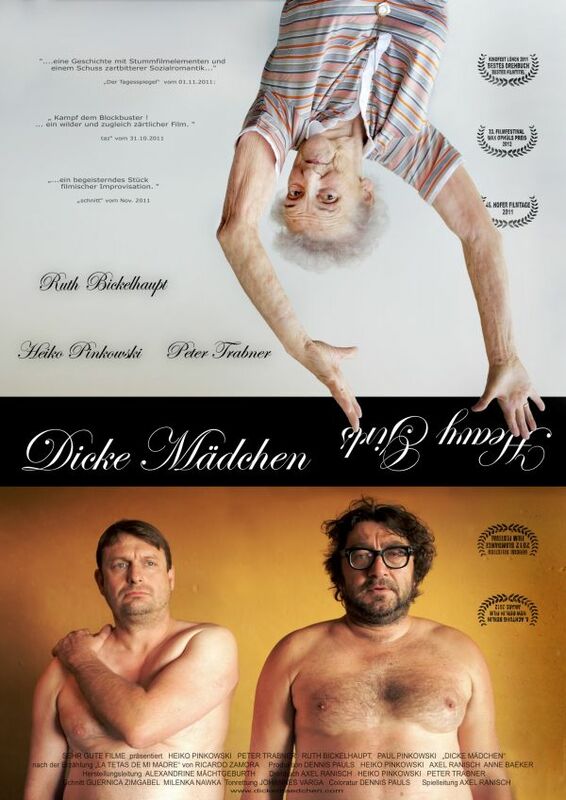 Dicke Mädchen is a super-low-budget film. And that’s quite noticeable in the lack of technology quality. But the actors are amazing, the film is really funny and it just has an excellent heart. So never mind that it isn’t really HD.